The falling golden leaves of autumn together with the ‘poojo’ atmosphere created in Kolkata(my present residence) have brought back my childhood ‘navrathri’ memories. Back home, in ‘Marudhur agraharam’, our small village, a few kms from maayavaram(mayiladudhurai), in Tamil Nadu, Navrathri used to be a blissful occasion, for which we children would wait eagerly every year. Our village was of typical Brahmin origin. 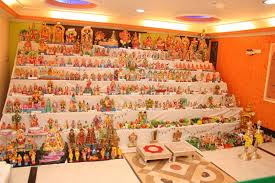 ‘Golu’, a beautified arrangement of dolls(right), practised in Tamil Nadu as a part of navrathri celeberations, was an essential part of the festival in every house. Women at home prepared sweets, snacks and prashads and a different kind of ‘sundal’ or chickpeas each day. They cleaned the houses and decorated them before the occasion. 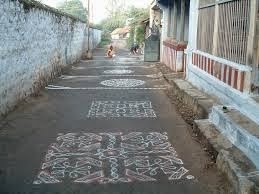 A new ‘kolam’ or rangoli, each day, would welcome guests, from both within the village, as well as relations from outside. But, among all, we children were the ones to enjoy the most. 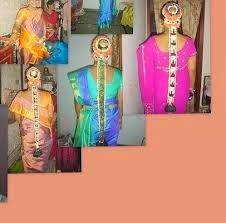 Every morning, we would wake up early and dress up for the function and then visit friends’ houses. 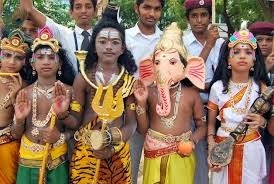 Our whole gang would gather together, after which we would walk together to the village temple. There, we would help the priest to decorate the temple outdoors, and carry water for abishegam. It’s quite puzzling how hard we used to work those days! My own children cannot even carry a tub of water within the house! The dressing up was an occasion in itself. 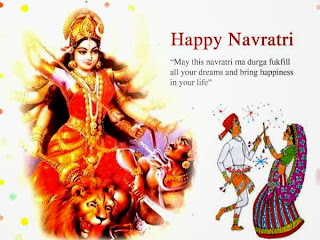 Traditional ‘paavadai’(long skirt and blouse) was the dress code for most girls, while some of us wore fancy dresses like ‘Krishna’, ‘Radha’ and other such mythological characters. All this mostly happened collectively, in groups, especially the hair-styling. My friends would come to my house for having their hair done from my paattimaa(grandmother), who was an expert in making different styles of plaits. She would then stitch our hair with flowers and other ornamental decorations.agraharam and have sundals of all the houses! The stitching was an elaborate one, but she would do it for all my friends without complaining. Then we would go to all the houses in the neighbourhood and people would give us gifts. After so many years, thinking about it, I doubt all that was real. A whole lifetime as a millionaire would not be able to counter the happiness that we had those days. P.S. Thanks to all my friends for liking, commenting and sharing my posts and being great support to discover India. Please keep visiting. Your comments are the most valuable. Please give views without hesitation.